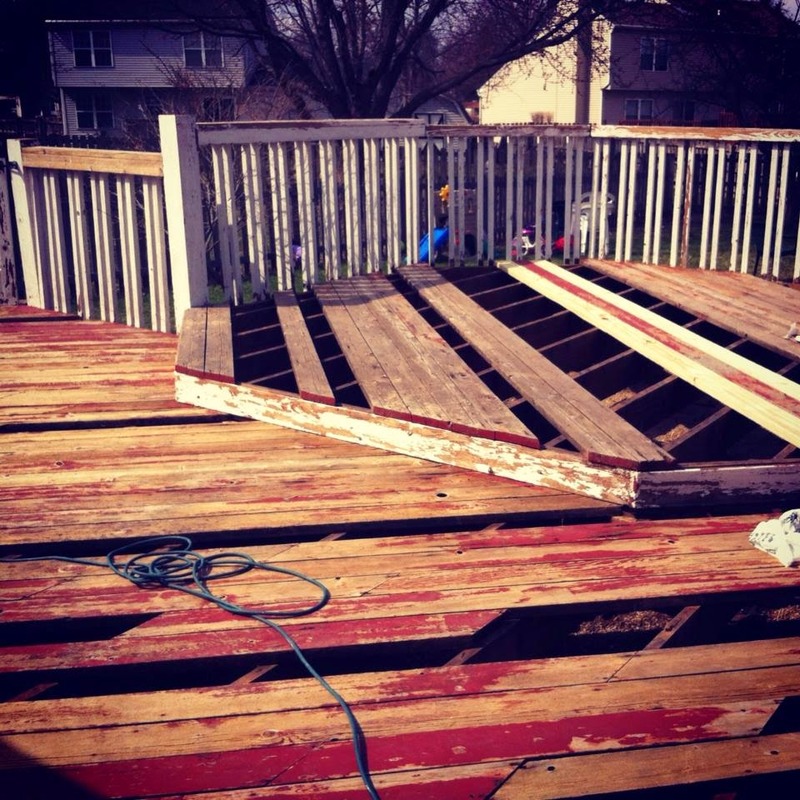 Since my hand is out of commission and I don't enjoy the chicken pecking, I figured I would post a picture gallery of the before and after of our latest deck renovation project. 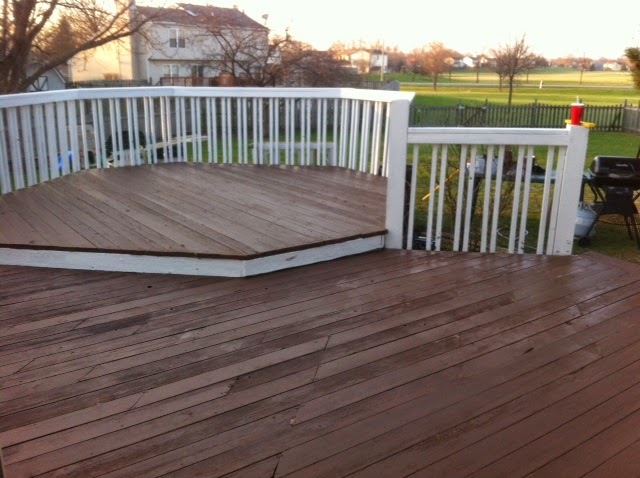 The deck was one of the selling features in our home but definitely needed a face lift. 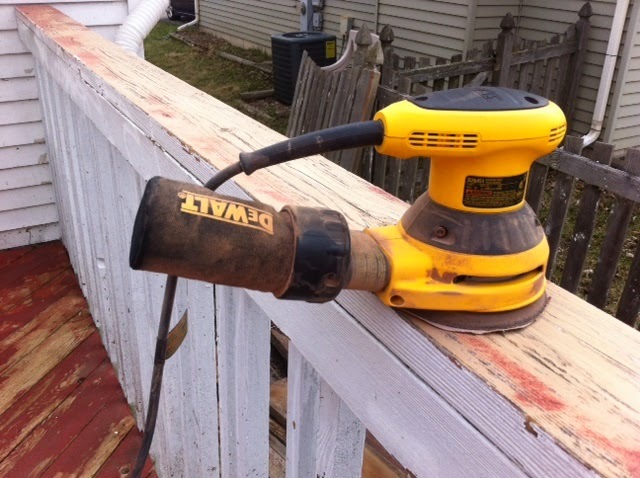 Some of the top boards were rotted and ready to put a foot through. 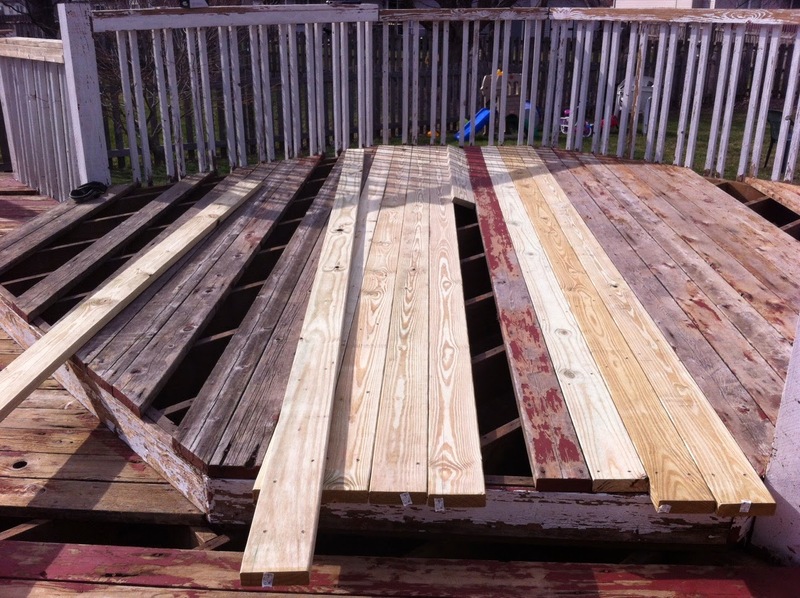 We started by replacing those boards and were relieved to find a perfectly nice deck foundation. This was a weekend in itself! Sand off the peeling paint. 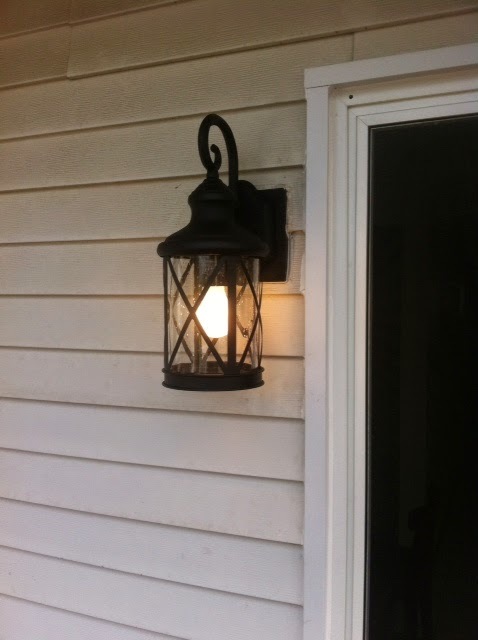 Switched out our flood lights for these babies! The motion sensor was so off and would drive me nuts. Yes, it lacks a bit of security but I'm not a fan of flood lights. Two coats of a chocolate solid stain and a pinto white solid stain. It took us a total of 3 weekends... including the weekend of flood and fire, which was kind of a wash.